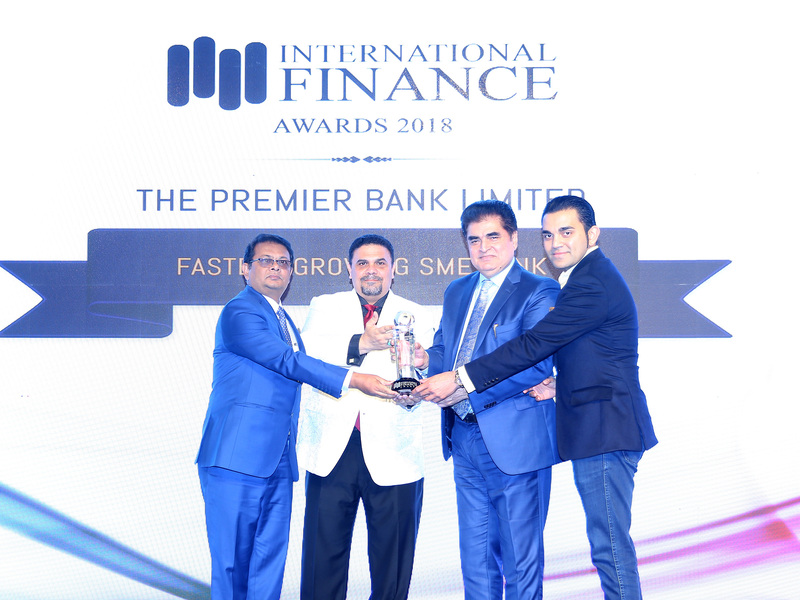 The Premier Bank Limited has been honoured with prestigious international award of ‘Fastest Growing SME Bank- 2018’ by International Finance UK at International Finance Awards-2018. The award has been received by Honorable Chairman, Board of Directors of the Premier Bank Limited, Freedom Fighter Dr. H.B.M. Iqbal at Jumeirah Emirates Towers, Dubai recently. Vice Chairman Mr. Moin Iqbal; Managing Director & CEO Mr. M. Reazul Karim, FCMA were also present in the grand ceremony. International Finance Awards recognizes industry talent, leadership skills, industry net worth and capability on an international platform. After vigilant consideration by a qualified research team, winners are declared on the strength of their past accomplishments. The ‘International Finance’ awards ceremony was attended by more than 100 Bank Chairpersons, CEO’s, CFO’s and other senior managers from different countries.